listing under consent agenda is a group of items to be acted on with a single motion.The consent agenda is designed to expedite council business. The Mayor will ask if any citizen or council member wishes to have any specific item discussed. You may request that an item be removed from the Consent Agenda at that time, prior to Council’s vote. Items removed from the consent agenda will be considered under New Business. agenda. Those commenting should state their name and physical address for the record and limit comments to five minutes. A) Application For New Hotel/Restaurant Liquor License- Elk Avenue Inc. d/b/a/ McGill’s at Crested Butte 228 Elk Avenue. F) Appointment of One Member and One Alternate to the Gunnison County Housing Authority Board. (The above times are only tentative. Meeting may move more quickly or slowly than scheduled)f you If you need special assistance to attend any of the Town’s public meetings, please notify the Town Clerk at 349-5338 at least 48 hours in advance. The Town of Crested Butte, Colorado (hereinafter referred to as the Owner and/or Town) will receive bids at the office of the Public Works Department, Town Hall, 507 Maroon Avenue, Crested Butte, Colorado for the Town of Crested Butte 4 Way Stop Intersection Improvements – 2008 until 1:00 p.m. on February 28, 2008. All bids will be opened and read aloud at the Crested Butte Town Council Chambers immediately following the submittal deadline. If delivered, Bids are to be delivered to the office of the Town of Crested Butte Public Works Department, Town Hall, 507 Maroon Avenue, Crested Butte, Colorado 81224 to the attention of Mr. Bob Gillie. If mailed, the mailing address is P. O. Box 39, Crested Butte, CO 81224. • 2" and 4" Irrigation line – 1,100 l.f.
• Removal/milling of asphalt – 5,940 s.y. • Concrete curb and gutter – 620 l.f.
• Concrete sidewalk – 2,042 s.y. • Concrete Retaining Wall – 617 s.f. 1. Town of Crested Butte, Public Works office. A pre-bid meeting will be held on February 14, 2008 at 1 P.M. in the Crested Butte Town Council Chambers, 507 Maroon Avenue, Crested Butte, Colorado. Prospective Bidders may contact Mr. Bob Gillie with the Town of Crested Butte at (970) 349-5338 with questions pertaining to the scope of the project and information on this Invitation to Bid. Bids will be received as set forth herein and in the Bidding Documents. No Bid may be withdrawn within a period of forty-five (45) days after the date fixed for opening Bids. The OWNER reserves the right to reject any and all Bids, to accept bids other than the lowest, and to waive any informalities and irregularities therein. 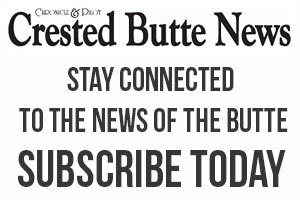 Bid security in the amount of not less than 5% of the total Bid must accompany each Bid in the form of a certified check, cashier’s check or Bid Bond and made payable to the Town of Crested Butte. The successful Bidder will be required to furnish a Performance Bond and a Labor and Material Payment Bond, both in the amount of 100% of the total Contract amount, in conformity with the requirements of the Contract Documents and on forms as provided by the Town. Published in the Crested Butte News, Issue of February 1, 8 and 15, 2008 #020109. WEDNESDAY, FEBRUARY 6, 2008 ~ 5:00 P.M.
5:05 p.m. Item 1. Review and discussion of the Ordinance on the revisions to Chapter 21 zoning related to the way in which height is measured. Section 21-1 Definitions and Section 21-355 permitted exceptions to development standards are being considered for amendments. Section 21-355.1 official topographic base map is proposed to be added to Chapter 21 zoning to allow for the creation of an official topographic map from which all building heights within Mt. Crested Butte wil be measured. The full text of Ordinance No. 1, Series 2008 is on file at the Town Offices at 507 Maroon Avenue for public reading and available on the Town website at townofcrestedbutte.com. This ordinance shall become effective five days after the date of publication. The full text of Ordinance No. 2, Series 2008 is on file at the Town Offices at 507 Maroon Avenue for public reading and available on the Town website at townofcrestedbutte.com. This ordinance shall become effective five days after the date of publication.